Left to right: Sharon Gust and Barbara Spissack, Medical Technologist. 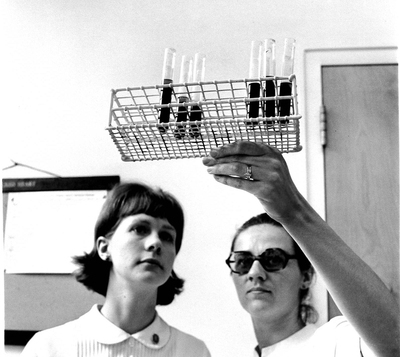 Barbara is holding tubes containing blood samples that have been centrifuged. Circa 1975-80.